The plan for the new map is simple. 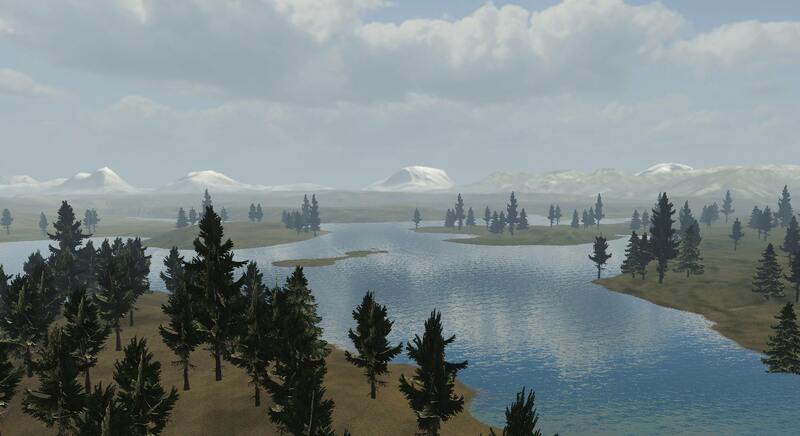 We will be working on a new map for both Open World and Survival. 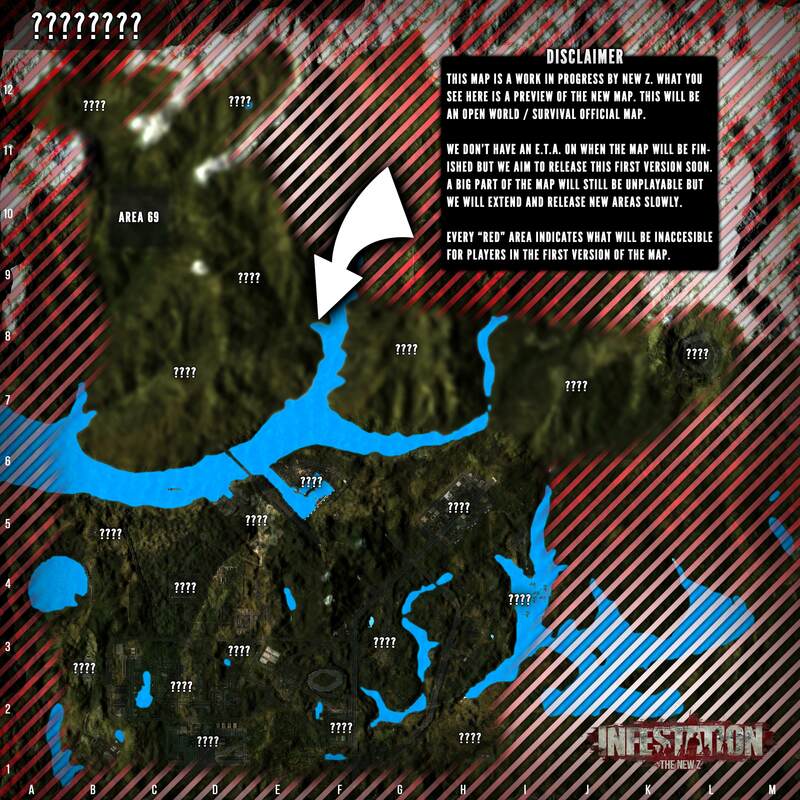 This new map will in the end be another extra map for Open World and most likely the main map for Survival. The reason why we have changed our minds and decided to make this map for the Open World game mode as well is due to player demands. We have done some polls recently asking the community what game mode you guys want us to focus on and Open World came out to be the top choice of players with almost 80% of all the votes. We can also not ignore the fact that around 75% of our player base only plays Open World. Therefor we have decided to make this map for both game modes. Obviously we would like to see how players react to the map once it's released and based on that we will continue with deciding what the final place for this map will be but for now we aim to have it for both game modes. It's important for us that you guys know what we are working on and what's the current progress of the map. Through this developer blog we would like to keep you all updated regarding that. Please keep in mind that wherever we mention: "we are working on" doesn't mean we are ONLY working on this new map. Obviously there is a lot of other tasks and plans for the game that we are working on as well. Please understand that. We would like to keep you all update through updates. Every time we feel like we did a lot of work on the map, we will post updates through comments. The goal is to have this map finished in a couple of weeks. We aim to make this new map the main and only map of the Survival game mode and depending on the demand we will see how much this map will be present in the Open World official servers list. We are finally there! 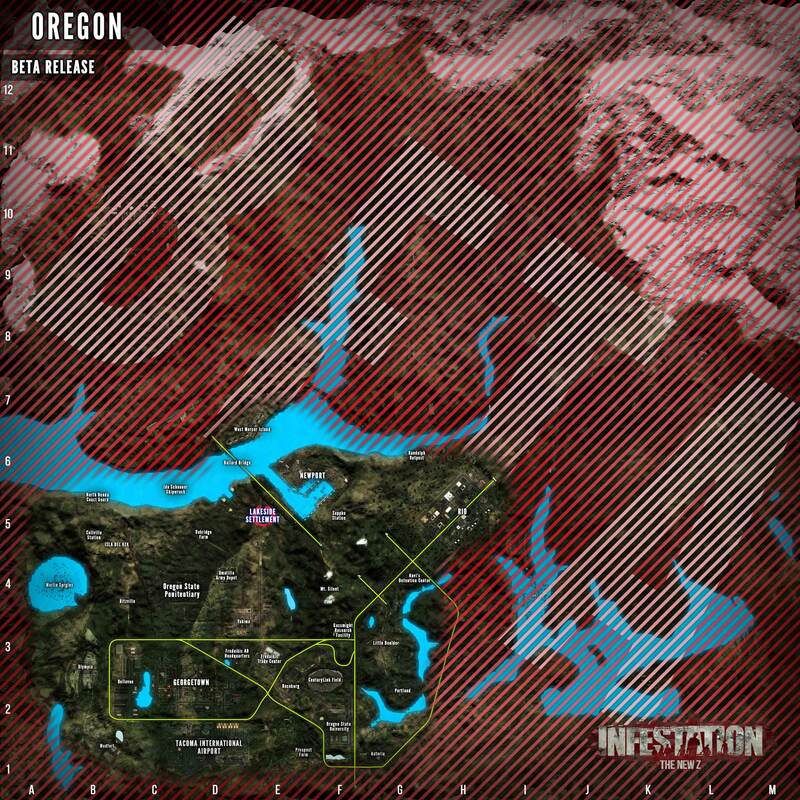 The new map (which we called "Oregon" btw) is about to be beta released for players. This means that you guys WILL be able to play on it very soon! Feel free to let us know what you think by commenting below! Done the terrain, far layer, overall lighting settings (even though we will finish / adjust that in the final version of the map once everything is done). Rio (the big main city) is in place. 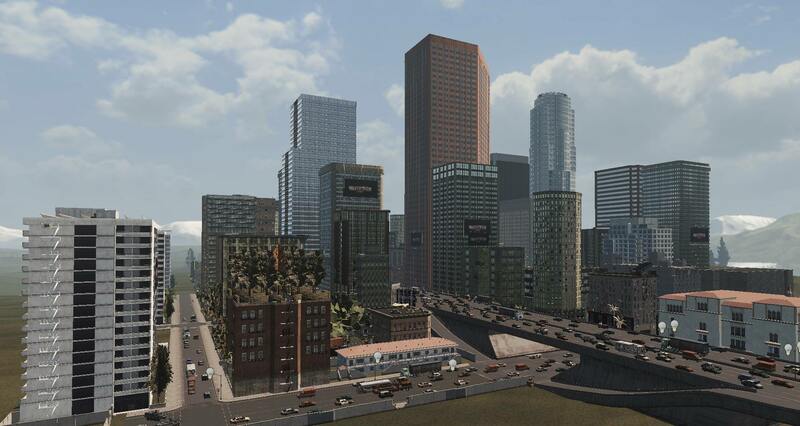 This city will be the main city of the map as it's in the center of the map. Plans for the map and ideas for points of interest have been thought out. We now have a clear idea of what we want where. 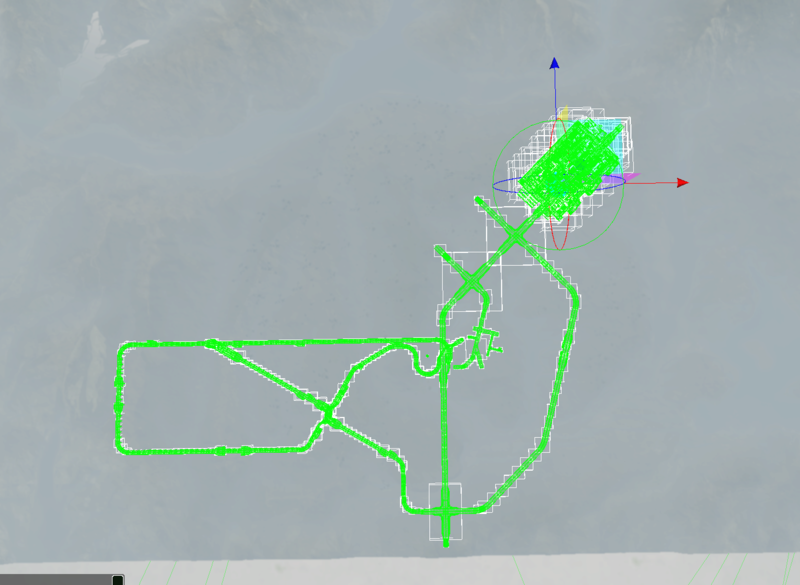 Highway system for the south area of the map is done. We are planning on making the southern area of the map kind of like a sub-urban area with industries, big company's and overall bigger kind of cities. 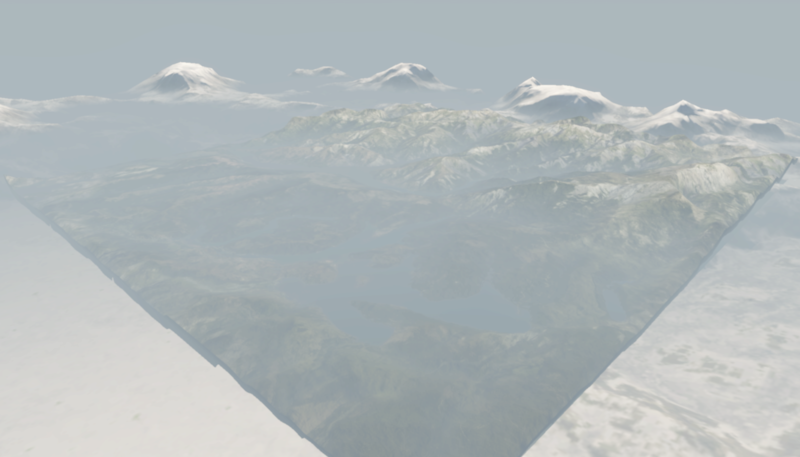 Collections and terrain layers are prepared. It sounds a very interesting map, although for the survival mode, it seems to me that the loot is very close. It looks and sounds great. This will give those of us that have been around a fresh perspective on the game overall. However, are you going to fix the major problem of the magical levitating loot? I do have to admit though, the main items that are floating are the least important. By this I mean, weapons, food, drink, and ammo are close to the ground. Armor and helmets are the floaters. I would also like to know if we are keeping the Colorado maps and if so, can you PLEASE!!! Get rid of all the extraneous piles of boulders that I have pointed out in multiple previous posts. Also remove the overgrowth in Cottonwood Outpost? I have been told by @Silenterror that these two main issues would have been fixed long ago. Another thing that was promised was a much needed update to the crafting system in Survival. Still the same old items. (I would also like to add that, since you made it possible to craft items, why not make it possible to disassemble items we have in inventory? Thanks for all your hard work. And, as always, Have a Nice Day!!! Hahaha. You'll have to wait! We hope to have it ready soon. Thanks for your amazing constructive feedback once again! For the "levitating loot" I would recommend the following: Have you ever turned item physics ON? This feature has been fixed in a very recent update and it basically adds physics to the loot making loot not fly anymore but fall on the ground realistically. Colorado will stay in Open World it all depends on the player demand. Same kind of goes for Survival but we do try to aim for this new map only. Perhaps Colorado V2 will be available as a private server.. I mean, why not? About the boulders in Colorado.. They are getting fixed. Keep reporting them! I asked silent about the overgrowth. Do you have any more information about that to make it more clear? We plan on doing some improvements to the crafting system itself and we do plan on adding new items. The main priority would be to add this new map and add the resource collection system where players can use tools to collect wood and stone. I asked silent about the overgrowth. Do you have any more information about that to make it more clear? 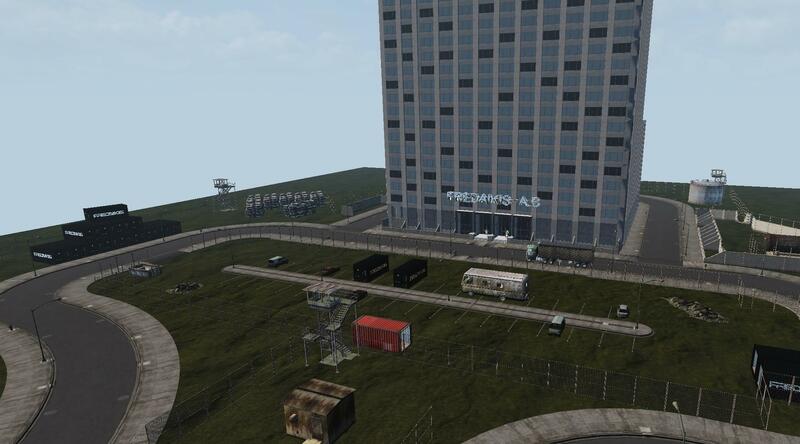 The overgrowth is completely hiding the ambulance, and some other players GI access lockers. I would post a screenshot, unfortunately I still have a problem adding pictures to my posts. I will try the fix you suggested. I haven't messed with the game settings in quite some time. Thank you for the information. I'll have silent take a look at it! Thanks for your time! For the "levitating loot" I would recommend the following: Have you ever turned item physics ON? This feature has been fixed in a very recent update and it basically adds physics to the loot making loot not fly anymore but fall on the ground realistically. Imagine my surprise when the items were actually ON THE GROUND!! I even witnessed a riot shield that was dropped from a zombie, start rolling down a hill!! Thanks very much for the information Sven. You and your entire team are awesome!! Have a Fantastic Rest of your Day!!! First of all, congratz with your great job!! IMHO, why not reduce the number of servers , ending with the "limit ping servers" and creating 1-2 server per map. its terrible see empty servers, with so few players (at survival i see 2-4 players in US or SA servers). To example, South America have 6 servers, but i think that 2 servers do the work veeeeeeeeeeeeeery well!. in the best situation, 3 servers. Could you maybe make one of those buildings/skyscrapers fully lootable like being about to go to the top floor? Not the roof, that would be annoying for pvp'ers. A thought occurred to me while I was playing earlier. If you do, indeed do away with the Colorado map for Open World, what is the plan for compensating us for all the GI access lockers we have scattered around the landscape? I know that, when you ban a player, or a player quits for whatever reason, their GI access lockers are removed from the map. Do you have a database of the locations and owners names? you guys should add random outposts, roadblocks, abandoned camps, abandoned tents, hideouts to the new map. this would add the possibility to seek loot and fights outside the citys also. I am quite sure if you would run heatmap for colorado there would be only 3-4 places where actual fights take place (campos, clearview, boulder, military). I play on highest pop server all the time ~80-90 players and cant find anyone in other citys..empty. Leaves out 80% of map. For skyscrapers add MULTIPLE entrances not only 1. Not everyone would like to fight on campos roofs, boulder bridge, airport tower or clearview spawns. and any possibility for radiation? there are gas masks but theres no use for it. Hahah great to hear! I told you it's awesome!! I'm using it myself as well all the time, haha. A simple reason is because we just want to make the Survival game mode unique. It has been a plan from us all along since the start of Survival to have the game mode in a brand new environment for players to discover. We are aware of the server amounts - didn't you point this out somewhere earlier as well? haha - We have plans to make the server list dynamic where we wouldn't require to restart everything anymore in order to change the server amounts. At this time I will not your suggestion and discuss this with the rest of the guys later. Thanks! Like I mentioned earlier: In Open World this map will just be NEXT to the current map pools. It will all depend on player demand. IF we ever decide to remove Colorado or any other map we will make sure to announce it and to find a solution / compensation for everyone with lockers. Keep up the great feedback! Thanks! We are working on dynamic radiation zones with a special new zombie etc. Not sure when this will come but we have already started development on it. You mean: durability? Haha. We have removed that in New Z and it will probably never come back. Sorry. add something cool related to water/sea maybe, since you are developing an intresting idea would be a shipwreck, oil platform or military ship somewhere where you have to swim. Good idea! We want to open a bigger river, add ships and ship yards etc! Nice feedback! Sad to hear Survival isn't half as played as open world. I particularly can't stand the amount of loot you find in OW. Anyway..
We could really use some rework to zombie loot, at least in survival mode. It would seem to me that zombies only drop cloth and bandages, so I hardly even check their corpses for loot anymore. On another point, when Tonblader said the loot was very close I believe he meant the areas with good loot are not spaced apart enough, so players can quickly loot the interesting areas without needing a vehicle. If that's the case, then I agree with Ton: I like the size of the current Colorado map, and I think it will take away a bit of the challenge (and fun) of finding great loot if every interest point is too close from everything else. Anyway, great to see we're getting a new map, though I wish we could keep both maps for survival mode, at least while players adapt to the new map. That would help out a lot! Anyways, thanks for your feedback! Getting some new models done: A nice new bridge! 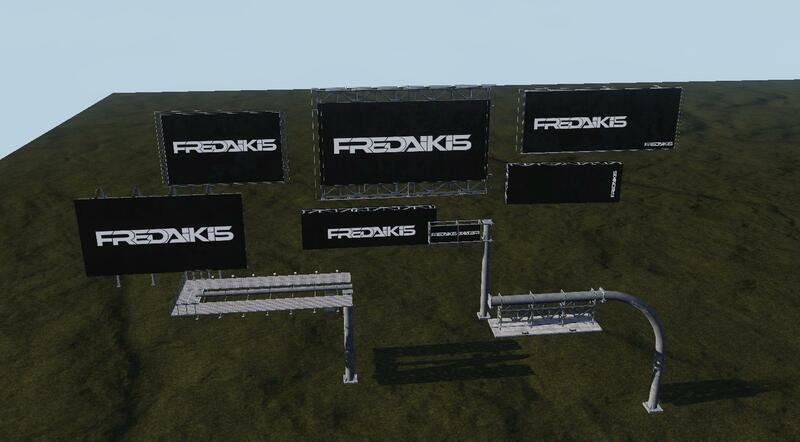 Fredaikis AB headquarters! Please keep in mind this is a concept and "global layout". This means its FAR from how it's going to be in the end product. Separated solar panel models for a solar field we plan on making!